THEY improv provides improv comedy, game shows and murder mystery dinners for entertainment options for a variety of groups and gatherings throughout Central Florida. If you have a group looking for quality Daytona Beach corporate event, banquet and private party entertainment in Florida, look no further than THEY improv! 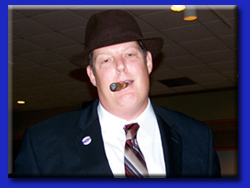 Whether you'd enjoy an improv comedy, interactive game show or Florida murder mystery dinner, THEY improv can provide you with a Daytona Beach private party, banquet, corporate event or murder mystery dinner that will help you succeed beyond your expectations! 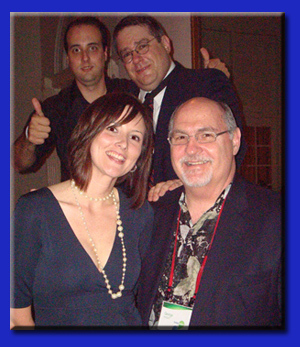 THEY improv leads the way for Florida murder mystery dinner shows for Daytona Beach private parties, banquets and corporate events. With a cast of detectives, quirky suspects and plots customized to each group at a venue of your choosing for a luncheon or dinner show, THEY improv will have your group trying to discover whodunit while laughing the night away. For mid-sized groups, we have a team building version called the Cambridge Solution using the bosses as characters and teams working together to solve the crime. And for smaller groups, THEY improv has a game show version where the participants play all the characters in a mix and mingle party designed to get people to talk to each other and have a great time in a no-pressure environment. Whether you are at an area hotel, on a boat or simply in town for bike week, Biketoberfest, Spring Break or a NASCAR race, THEY improv will focus on making your Daytona Beach corporate event, banquet or private party a blast! With a location on the Fun Coast of Florida, the city is a popular tourist destination of its own, as well as being within easy distance of Orlando, St. Augustine and Cape Kennedy. Being the home of NASCAR, spring break and the world-famous 500, not to mention Bike Week and Biketoberfest, the people here love a good time. 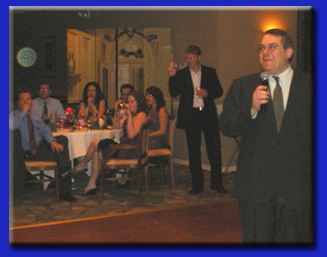 Whether it be a comedy, game show or murder mystery, THEY improv is prepared to turn your Daytona Beach corporate event, banquet or private party into one to be remembered! 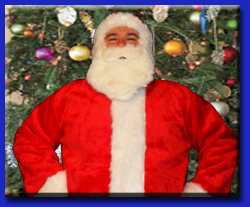 Daytona Beach private parties for families or corporate events are improved through all of these programs. And for a city with people that are both so unique and diverse, THEY improv is ready to provide activities that will work for everyone providing entertainment, wellness, bonding and training. After all, being improvisers, THEY can adjust to practically anything. 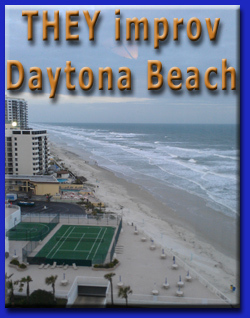 THEY improv can provide these functions in Volusia County throughout the area including the Shores, Wilbur by the Sea, Ponce Inlet, Port Orange to the South, Holly Hill, Ormond, DeBary, DeLand, Deltona, Edgewater, Flagler, Lake Helen, Sunshine Park, the Speedway, along the Halifax River and New Smyrna as well as Jacksonville, St. Augustine, Amelia Island, Orlando, Titusville and Port Canaveral. 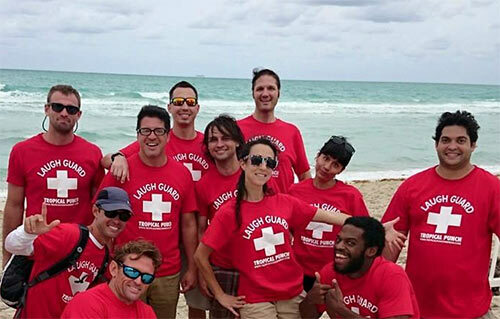 Likewise, we have professionals throughout Florida ready for your needs.